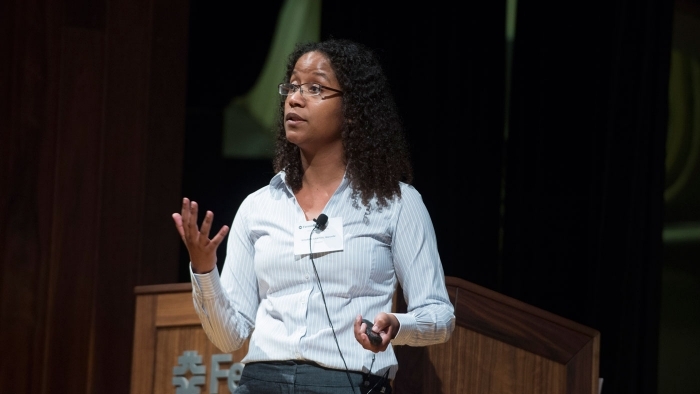 Marcelle Soares-Santos has been exploring the cosmos since she was an undergraduate at the Federal University of Espirito Santo in southeast Brazil. She received her PhD from the University of São Paulo and is currently an astrophysicist on the Dark Energy Survey based at Fermi National Accelerator Laboratory outside Chicago. Soares-Santos has worked at Fermilab for only five years, but she has already made a significant impact: In 2014, she was bestowed the Alvin Tollestrup Award for postdoctoral research. Now she is embarking on a new study to measure gravitational waves from neutron star collisions. S: You recently attended the LISHEP conference, a high-energy physics conference held annually in Brazil. This year it was held in the region of Manaus, near your childhood home. What was it like to grow up there? MS: Manaus is very different from the region that I think most foreigners know, Rio or São Paulo, but it’s very beautiful, very interesting. When I was four, my father worked for a mining company, and they found a huge reserve of iron ore in the middle of the Amazon forest. All over Brazil, people got offers from that company to get some extra benefits, which was very good for us because one of the benefits was a chance to go a good school there. S: When did you get interested in physics? MS: That was very early on, when I was a little kid. I didn’t know that it was physics I wanted to do, but I knew I wanted to do science. I tend to say that I lacked any other talents. I could not play any sport, I wasn’t good in the arts. But math and science, that was something I was good at. These days I look back and feel that, had I known what I know today, I might not have had this confidence, because I understand now how lots of people are not encouraged to view physics as a topic they can handle. But back then I had a little bit of blind faith in the school system. S: You work on the Dark Energy Survey. When did the interest in astrophysics kick in? MS: I did an undergraduate research project. In Brazil, there is a program of research initiation where undergraduates can work for an entire year on a particular topic. My supervisor’s research was related to dark energy and gravitational waves. It’s interesting, because today I work on those two topics from a completely different perspective. S: You’re also starting on a new project to study gravitational waves. What’s that about? MS: For the first time we are building detectors that will be able to detect gravitational waves, not from cosmological sources, but from colliding neutron stars. These events are very rare, but we know they occur, and we can calculate how much gravitational wave emission there will be. The detectors are now reaching the sensitivity that they can see that. 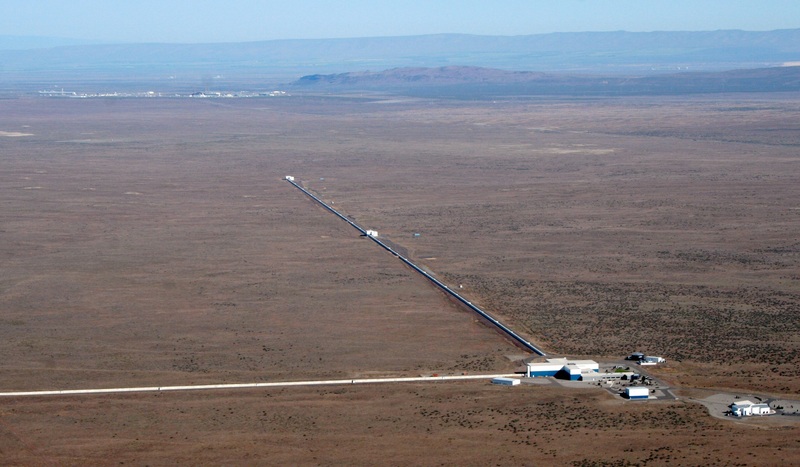 There’s LIGO in the United States and Virgo collaboration in Europe. Relying solely on gravitational waves, it’s possible only to roughly localize in the sky where the star collision happens. But we also have the Dark Energy Camera, so we can use it to find the optical counterpart—lots and lots of photons—and pinpoint the event picked up by the gravitational wave detector. If we see the collision, we will be the first ones to see it based on a gravitational wave signal. That will be really cool. S: How did the project get started? What is it called? It’s called the DES-GW project. It will start up in September. Groups from Fermilab, the University of Chicago, University of Pennsylvania and Harvard are participating. S: What’s your favorite thing about what you do? MS: Building these crazy ideas to become a reality. That’s the fun part of it. Of course, it’s not always possible, and we have more ideas than we can actually realize, but if you get to do one, it’s really cool. Part of the reason I moved from theory [as a graduate student] to experiment is that I wanted to do something where you actually get to close the loop of answering a question. S: Has anything about being a scientist surprised you? MS: In the beginning I thought I’d never be the person doing hands-on work on detector. I thought of myself more as someone who would be sitting in front of a computer. And it’s true that I spend most of my time sitting in front of the computer, but I also get a chance to go to Chile [where the Dark Energy Camera is located] and take data, be at the lab and get my hands dirty. Back then I thought that was more the role of an engineer than a scientist. I learned it doesn’t matter the label. It is a part of the job, and it’s a fun part. S:In June 2014 Fermilab posted a Facebook post about you winning the Alvin Tollestrup Award. It received by far more likes than any Fermilab post up to that point, and most were pouring in from Brazil. What was behind its popularity? MS:That was surprising for me. Typically whenever there is something on Facebook related to what I do, my parents will be excited about it and repost, so I get a few likes and reposts from relatives and friends. This one, I don’t know what happened. I think in part there was a little bit of pride, people seeing a Brazilian being successful abroad. I got lots of friend requests from people I’ve never met before. I got questions from high schoolers about physics and how to pursue a physics education. It’s a big responsibility to say something. What do you say to people? I tried to answer reasonably and tell them my experience. It was my 15 minutes of fame in social media.